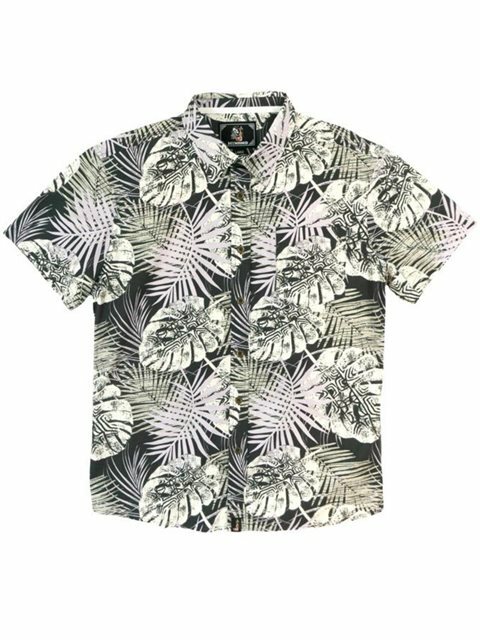 Hinano Men's short sleeve shirt with tropical leaves print. This is a full button down front shirt finished off with a chest pocket at the left. How to wash: Machine wash cold with like colors gentle cycle. Use non chlorine bleach as needed tumble dry low. Low iron. Please note: The shade of color may differ slightly from the image displayed. I usually wear US size M. Tried this M and it fits just fine. Sleeves fell slightly above my elbows and the back is long enough. I like these metal buttons because they are more durable than other plastic or coconut buttons. Love this modern tribal print, too. Made of 100% cotton so it’s easy to take care of. Available in two different colors - Black and Olive.